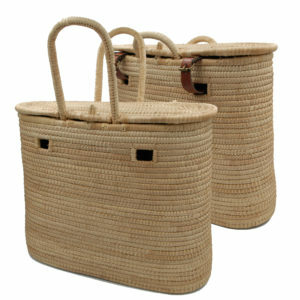 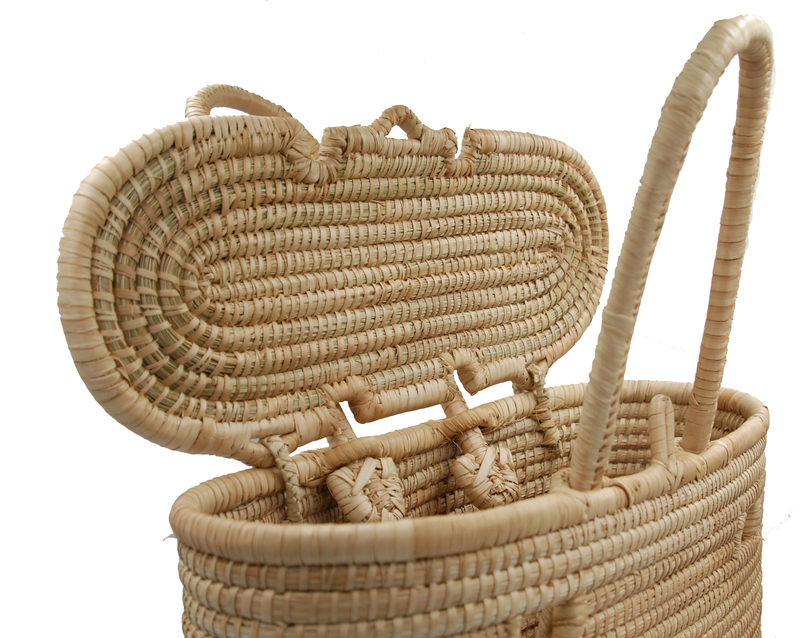 Each basket measures 33cm high x 38cm long x 16cm wide (but measurements will vary slightly as they are all made by hand). 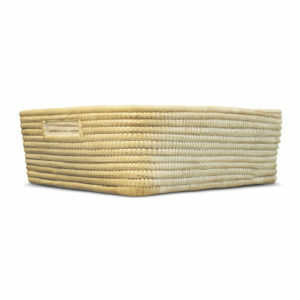 Each buckle hole on the rear is 4cm wide and there is 18 cm between the holes. 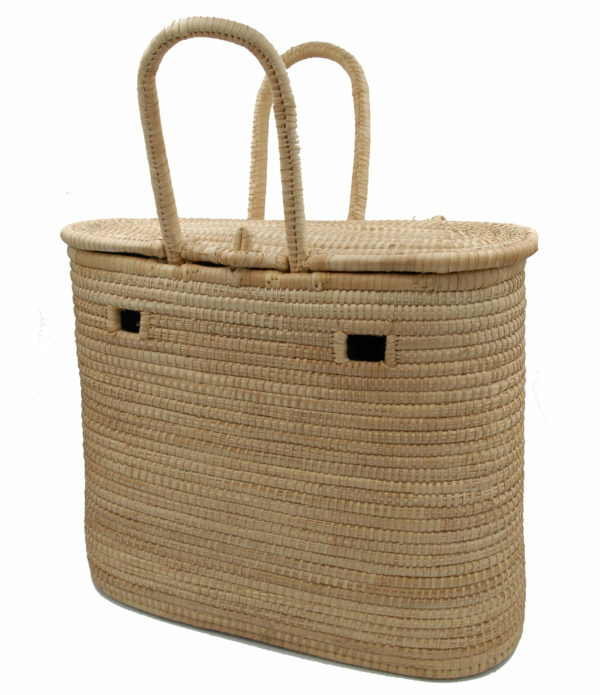 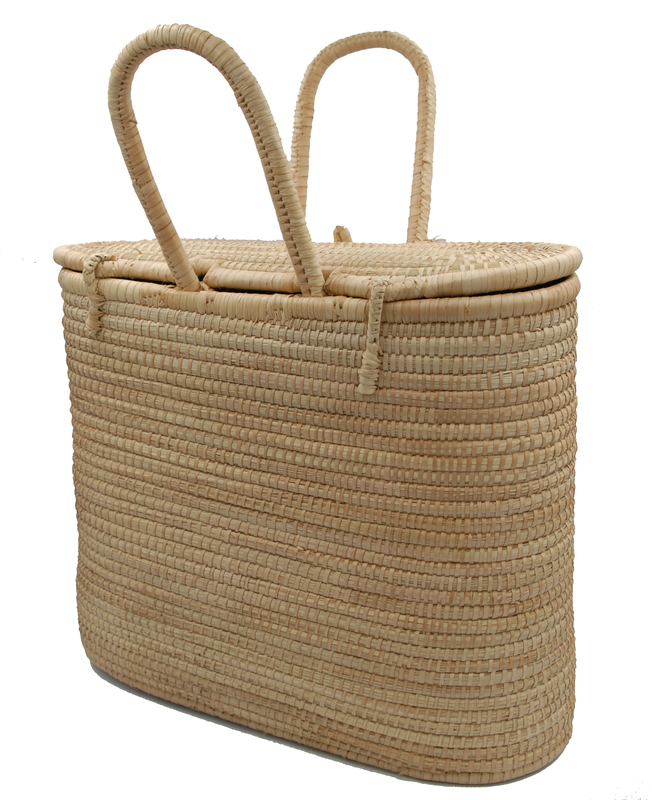 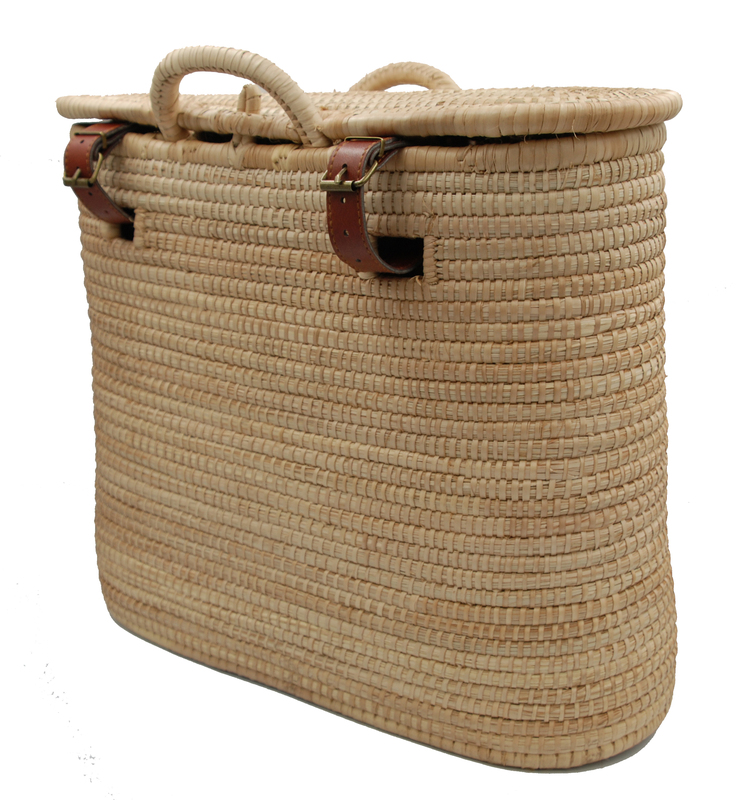 Each strand of sustainably harvested palm leaf is careful woven together to make this basket one of the strongest you’ll find. 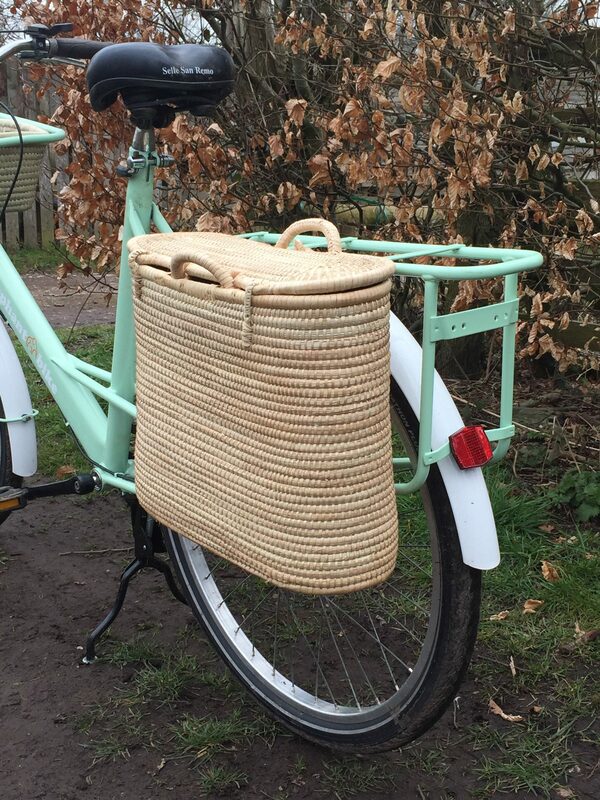 It’s not waterproof so you’ll want to take care with it in the rain, but we’ve tested it with the odd light shower, it dries out fine but you won’t want to leave it outside on your Elephant Bike in all weathers. 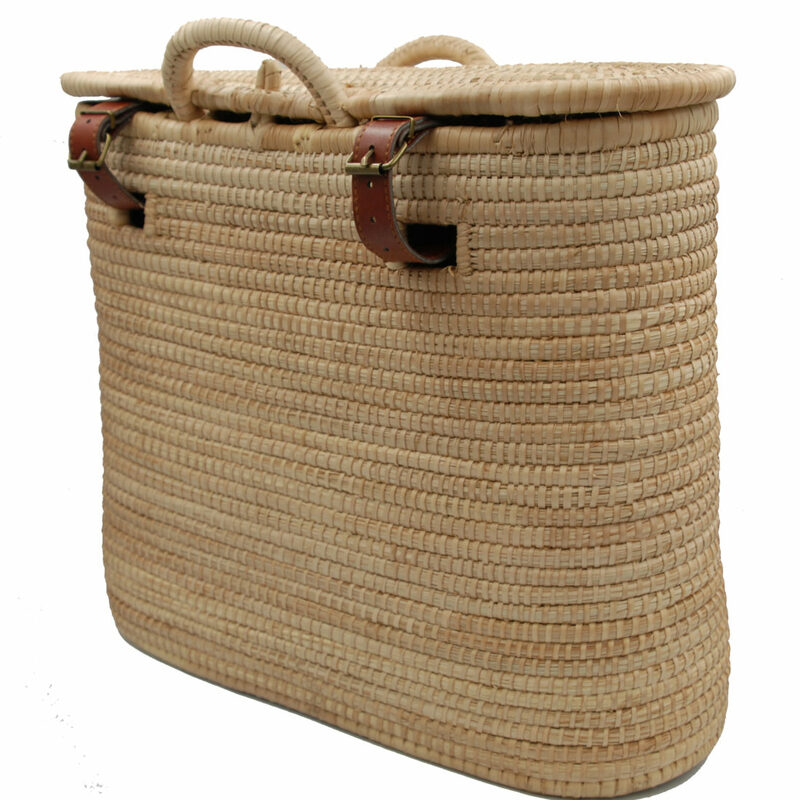 We have some traditional leather-look buckles available and very soon we’ll be launching bespoke recycled inner tube buckles! 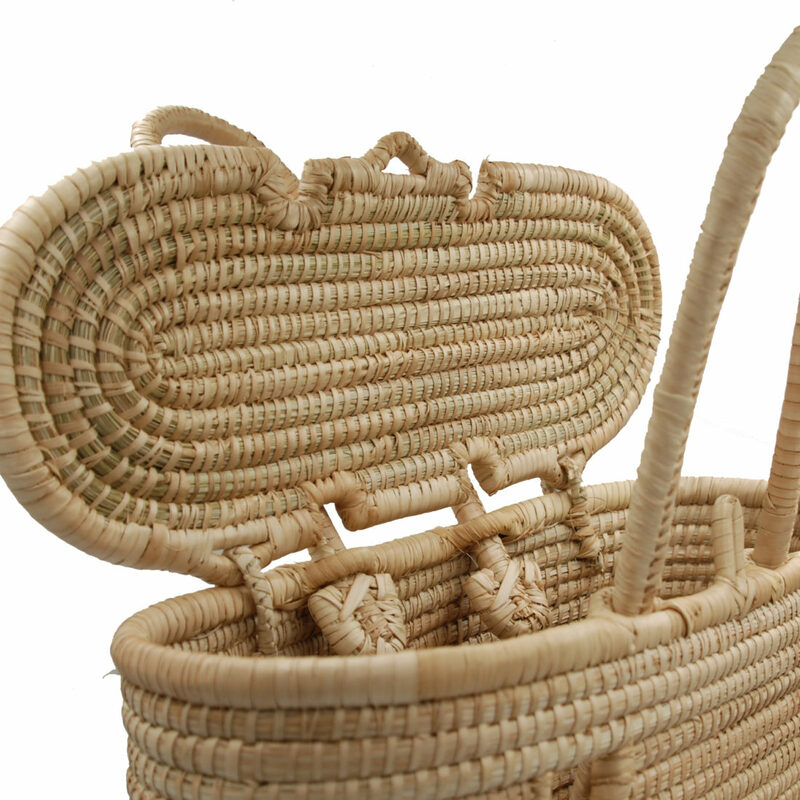 Each basket measures 33cm high x 38cm long x 16cm wide (but measurements will vary slightly as they are all made by hand). 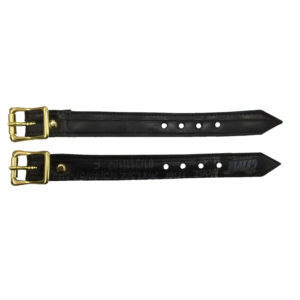 Each buckle hole on the rear is 4cm wide and there is 18 cm between the holes. 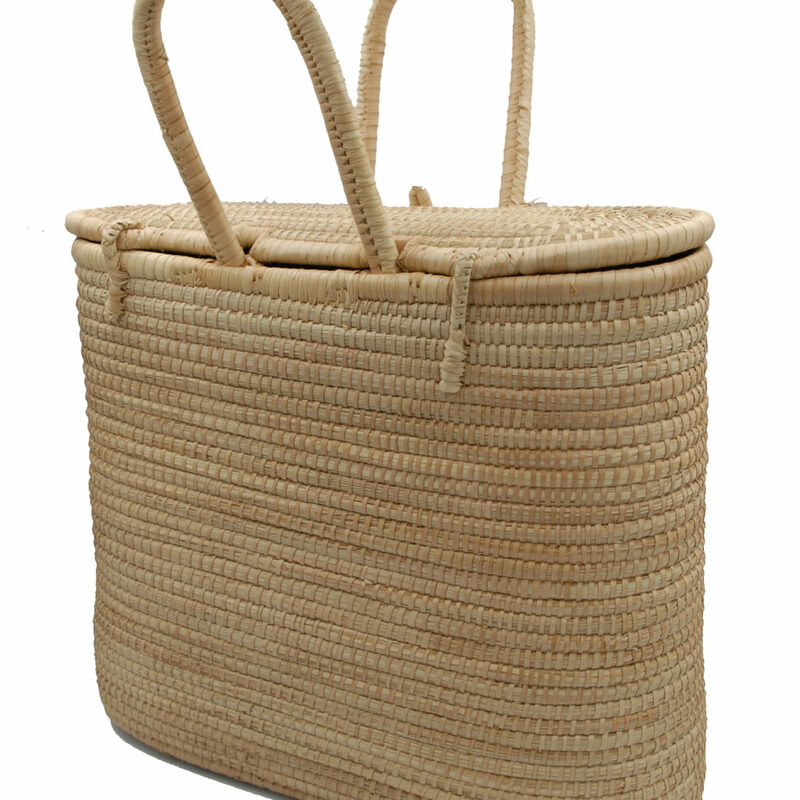 Each strand of sustainably harvested palm leaf is careful woven together to make this basket one of the strongest you’ll find. 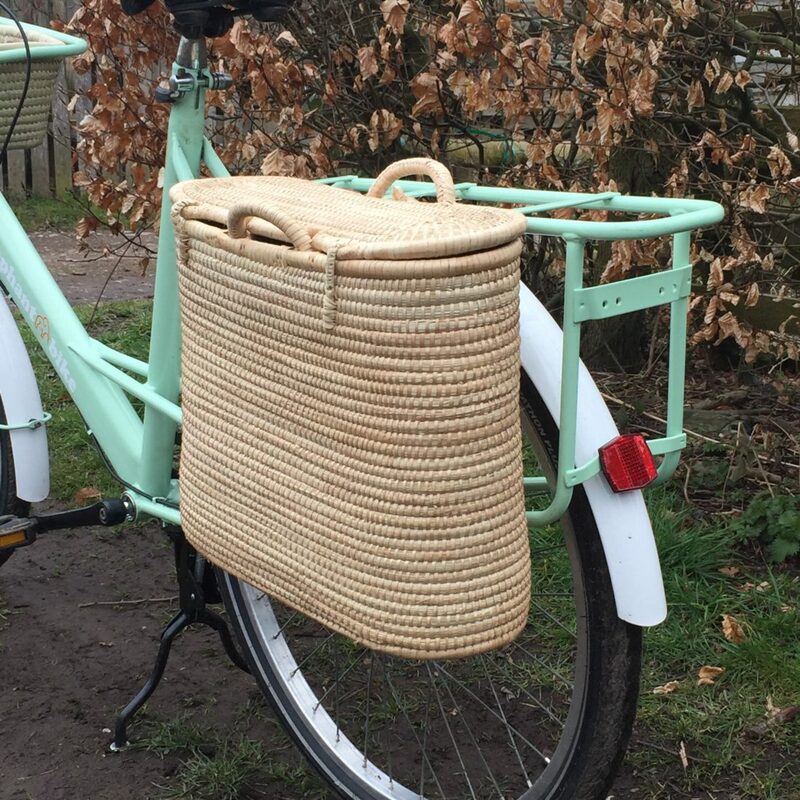 It’s not waterproof so you’ll want to take care with it in the rain, we’ve tested it with the odd light shower, it dries out fine but you won’t want to leave it outside on your Elephant Bike in all weathers.